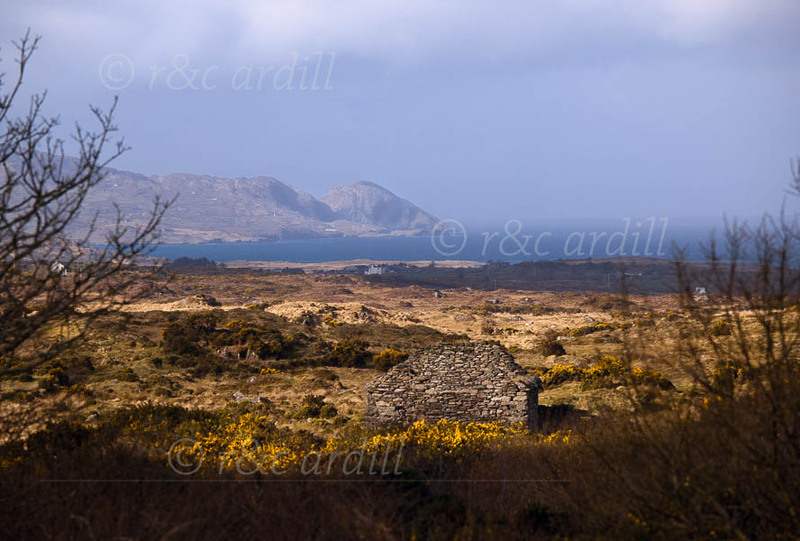 Photo of: West of Ireland: West Cork: Sheep's Head Peninsula. A morning view of Sheep's Head Peninsula in West Cork. In the foreground is an old hut. The bay in the background is Dunmanus Bay. Spring gorse is abundant on the boggy land.